Gone are the selling days of Willy Loman and the high-prestige salesperson. Today’s online buyer seeks a social media savvy relationship-builder who can help them make great decisions. How Did We Get Here? Selling used to be a very simple profession. A salesperson would identify a prospect and initiate contact in the hopes of creating interest in what he or she was selling. In 1949 actor Lee J. Cobb portrayed William “Willy” Loman, a characterization of the era’s quintessential salesman who schlepped a sample case from door to door, town to town. The rise of computers in the 1970’s saw the dawn of the “iron pushing” salesperson in a power suit and $500 Gucci shoes who so impressed you as a picture of success that you knew he/she must be selling a great product or service. These iconic images still remain in the minds of many customers. About a decade ago things really began to change and the salesperson was no longer the one who initiated the sales process. a.	Relational Selling. A focus on building a long-term relationship with a buyer that was no longer transactional. Instead, the sales professional focused on identifying needs as they arose and providing solutions that added value to the buyer and his or her organization. b. Social Selling. The use of supplier websites and social media, with sales professionals and their solution-providing companies providing massive amounts of information about problems and their solutions to those problems. Buyers use keywords to locate solution providers and thoroughly educate themselves before engaging with a solution provider or sales professional. McKinsey, Gartner, and others estimate that roughly half of the buyer’s journey is completed before a seller learns of the buyer’s specific needs. Let’s follow the case of Cady Smith, a successful mid-level manager of a customer service staff of eighteen people, as she navigates her buyer’s journey. Stage 1: Buyer Discovery. Cady has been reviewing her department’s performance and discovers that for the second month in a row, several performance metrics are off their targets. This concerns her. She discusses her concerns with her boss and she decides she needs more information. She reaches out to her network to ask if others have experienced the same situation. Cady also uses keyword searches on the Internet to educate herself on industry trends. Between her boss, her network, and the Internet she learns the problem is not uncommon. She views several videos and downloads information, all of which helps Cady formulate whether or not the issue needs to be addressed, and what would likely happen if she does nothing. She presents her findings to her boss and they both agree she should research potential solutions. Stage 2: Research Potential Solutions. Now that Cady and her supervisor have defined the problem and agreed that it needs to be solved, Cady begins researching potential solution providers who can help her. She wants solid options and that means she’ll need to explore different solutions as well as evaluate the quality of the provider offering each solution. Cady decides to gather information on several providers and educate herself on what is available. Once she has some basic information she can build a spreadsheet and set up the criteria she and her boss will use to evaluate options. Then she can resume her search and begin eliminating solutions and provider that are less appealing. After her research is completed, Cady and her boss decide on the top solutions and providers, and she is ready to initiate contact with them. 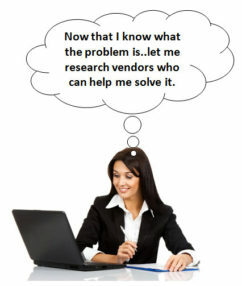 Up to this point solution providers did not know about Cady and the problem she is trying to solve. She has used her time to gather enough knowledge of the problem, potential solutions, and potential providers to feel confident she can have a productive conversation. In addition to what her networks says about providers and sales professionals who sell potential solutions, she investigates company websites and LinkedIn profiles of sales representatives offering solutions, in order to build a list of people and providers to contact. The responsiveness of providers and their representatives. How prepared the provider is to learn the details her situation. Each representative’s people skills, listening ability, and knowledge. Does the rep or provider offer any unexpected insights that offer Cady and her company additional value? Cady’s level of comfort with the relationship-building of the provider and rep.
How effectively the provider/rep positioned their solution. The overall value versus what competitors offered. Cady recommended three providers to come in to present their respective solutions. Cady, her boss, and two other stakeholders participated in the vendor meetings, and afterwards compared notes about what they saw. In addition to all of the “hard” criteria (cost, fit, ease of adoption, expected deliverables, and the like), Cady and the team were also influenced by each provider’s quality of communication, attitude, thoughtfulness, and personalization. 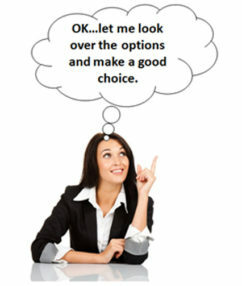 Considerations for Sales Professionals and Solutions Providers. A buyer’s journey like Cady Smith’s provides ample opportunity for sales professionals and service providers to win a buyer’s business. Are you building an effective digital footprint so buyers like Cady can find you? Have you positioned yourself as a solutions provider who offers easily understood solutions to the problems you solve and opportunities you offer? Do you clearly position the competitive advantages of your solutions? How quickly do you respond when buyers reach out to you? Do you seek to build a relationship with buyers, or do you provide only a transactional solution? What extra insight, personalization, and value do you bring to the marketplace? The preceding was created from principles and research taught in Module 16 (The Buyer’s Journey) of Boyer Management Group’s B2B Sales Essentials™ program, named a 2016 Top Sales Training Program. I work with some of the world’s top employers by helping them get the most out of their talented people. Our extensive leadership development course catalog provides effective skills-building for everyone in the organization, from the new / developing leader to the seasoned C-level executive. 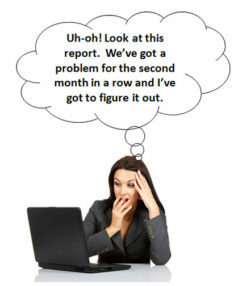 My coaching programs produce significant results in compressed periods of time. I also help job seekers, higher ed, and employment services connect people to better jobs faster. Our acclaimed career development tools, the Job Search Readiness Assessment for experienced professionals/skilled workers and Graduate Employment Preparedness Assessment for students/recent grads both assess and explain over 3,000 career.